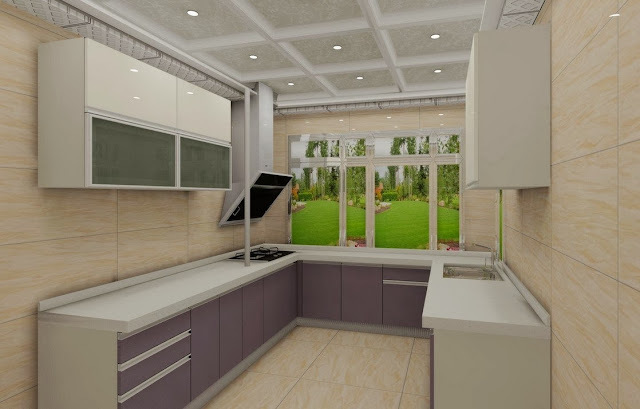 in today's article we provides you with some ceiling design ideas for the small kitchen, these ceiling ideas focus on kitchen ceiling lighting, kitchen ceiling decoration and kitchen ceiling materials, we also combined a collection of ceiling designs for small kitchens. 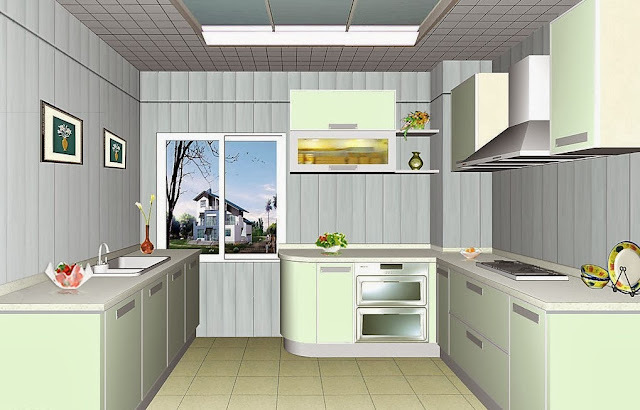 One way to expand the visual space in a small kitchen, it's the choice of ceiling design ideas of this kitchen. What should be the ceiling in a small kitchen to appear more spacious and airy? better to focus on how it should not be. 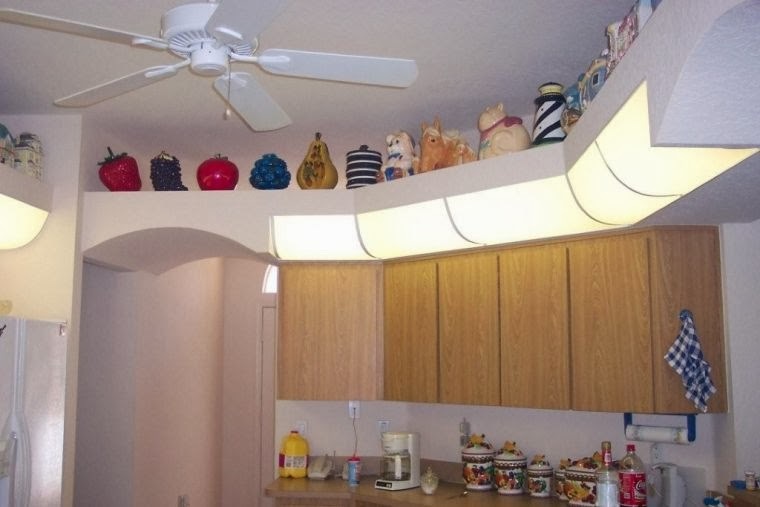 Do not make it darker or multi-level ceiling design. 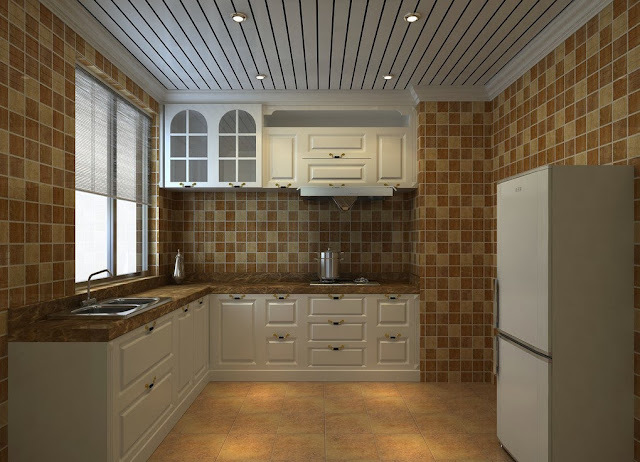 easiest and cheapest ceiling design ideas for kitchens. 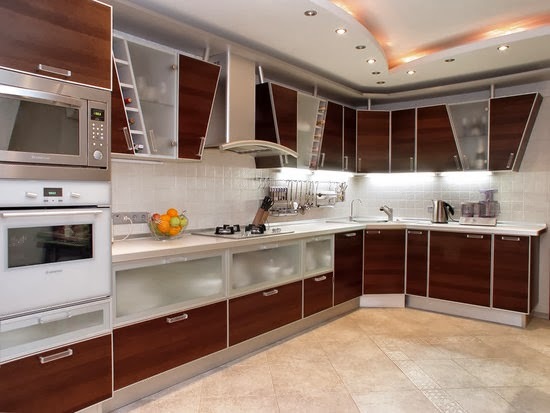 Although this method may seem a bit outdated, whitewashing the ceiling remains very popular way thanks to its simplicity and a neat appearance. 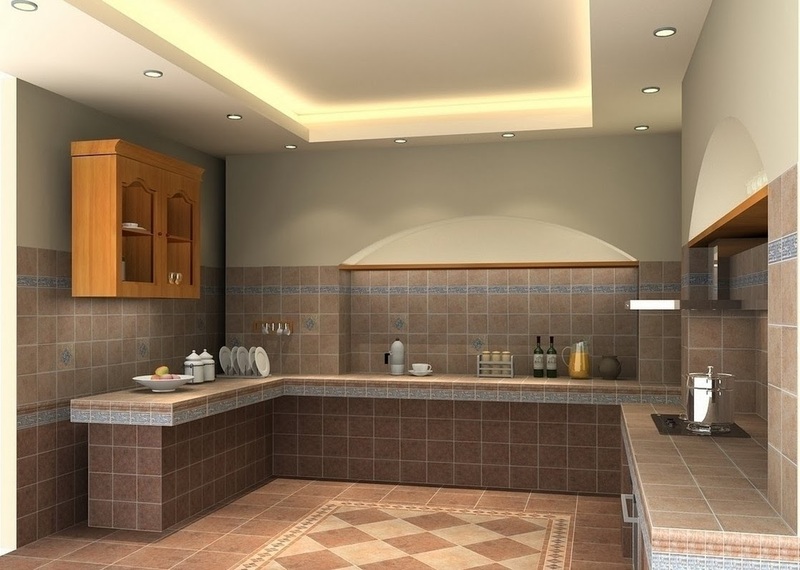 Of course, we must remember that the preparation of the surface must be made in ​​very high quality, but in this case guarantee presentable ceiling. ceiling design in a small kitchen can be painted with latex paint - smooth or textured. Remembering the specifics of the kitchen facilities, choose paint resistant to external influences. 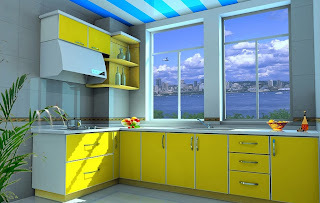 Any coloring is also good because it does not "eating" extra centimeters of the ceiling height , especially for low ceilings. 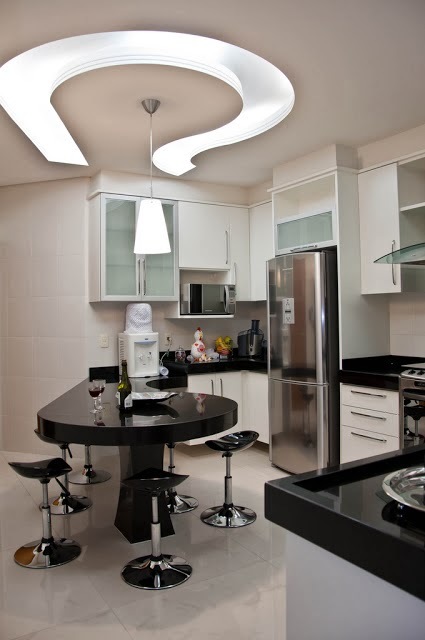 good, although more sophisticated versions of suspended ceiling. 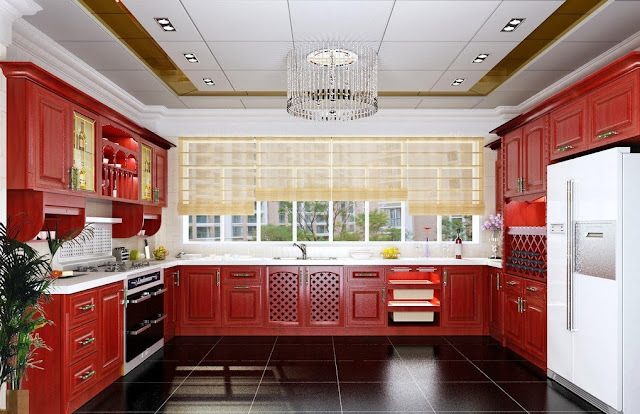 Here we must be prepared to ensure that the ceiling thickness is from 3 to 5 centimeters .the glossy surface colors visually "lift" room.